My nephew longs to be a pilot. A moment’s carelessness may cost a pilot his life. Flight attendants moved down the aisle gathering the lunch trays. He’s a pilot for JAL. In charge on the flight deck today is Captain Nakamura. 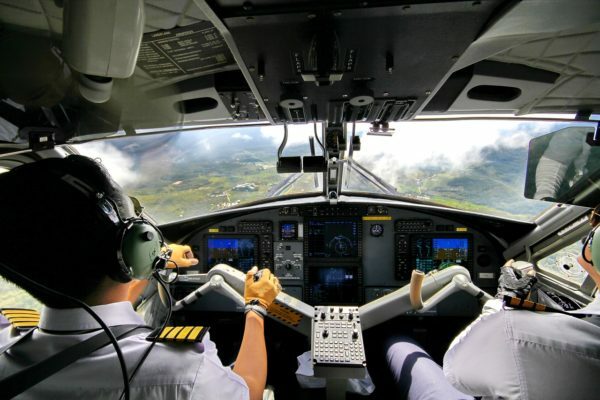 My ambition is to pilot. She boarded the jumbo jet for Paris as a flight attendant. The astronauts are prepared for two weeks in orbit. The control tower gave the pilot clearance to take off. The crew of the space shuttle was fascinated by cosmic mysteries. The flight attendant offered candy to the passengers. The picture reminded him of school days when he used to play spaceman.